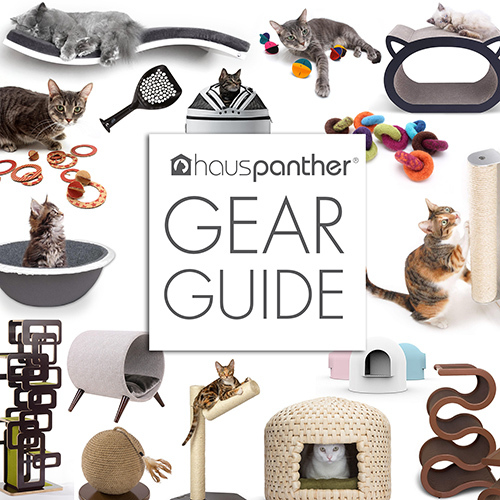 Kate Benjamin, the founder of Hauspanther LLC, has been featured in the media as a Cat Style Expert since 2007, including interviews with The New York Times, The Los Angeles Times, The Washington Post, USA Today, NY Daily News, People Pets, O, The Oprah Magazine and CBS Sunday Morning. She also makes guest appearances on Animal Planet’s My Cat From Hell with cat behaviorist Jackson Galaxy. For media inquiries, please visit our Contact page. SheKnows.com April 2014 >link to online article . Catnips Feline Advice Page April 2014 >link to online article . Dobbs Alumni News April 2014 >link to online article . Examiner.com March 2014 >link to online article . Grey House Design February 2014 >link to online article . Yahoo News February 2014 >link to online article . Local Revibe February 2014 >link to online article . Time News Feed January 2014 >link to online article . Cornell Chronicle December 2013 >link to online article . Jezebel December 2013 >link to online article . NJ.com December 2013 >link to online article . New York Times December 2013 >link to online article . Jackalope Ranch January 2013 >link to online article . Animal Wellness Magazine December 2012 . .
LA Times August 2012 >link to online article . Petside.com July 2012 >link to online article . 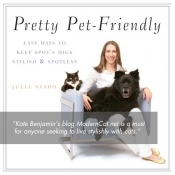 PetPR.com April 2012 >link to online article . The National Examiner August 2011 . .
NYDailyNews.com May 2011 >link to online article . CBS Sunday Morning May 2011 >watch video online . Arizona Republic December 2010 >link to online article . The New York Times July 2010 >link to online article . People Pets July 2010 >link to online article . Paw Nation July 2010 >link to online article . The New York Times June 2010 >link to online article . In Circle Pets January 2010 . . The Conscious Cat November 2009 >link to online article . 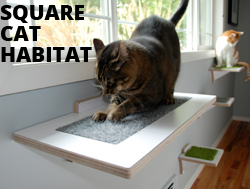 Cat Scratchings September 2009 >link to online article . Washington Post Express Night Out September 2009 >link to online article . 33cats.ru September 2009 >link to online article . The Pet Elite Interview for Trend Report Spring 2009 . USA Today January 2008 . .